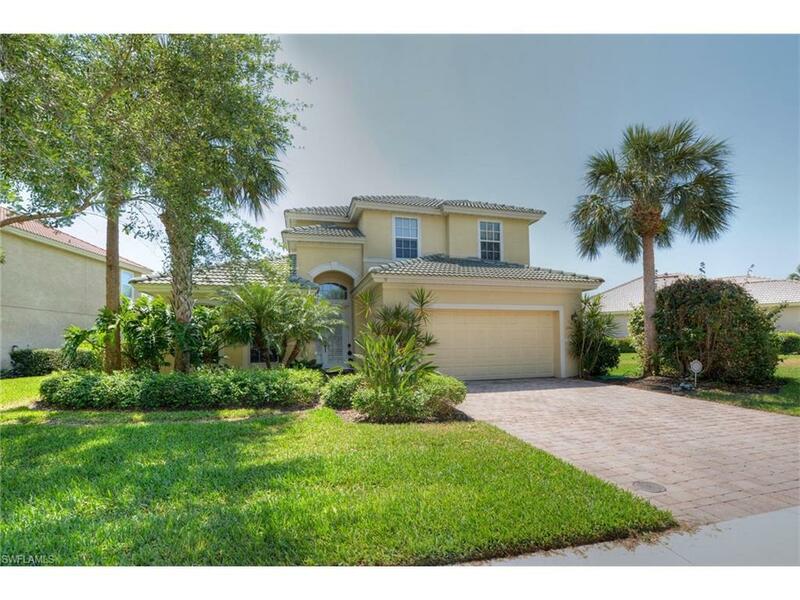 Beautiful and spacious 5 bedroom home situated at Hawthorne in Bonita Springs. Over $100,000 in upgrades when the home was built, including solid wood cabinets, marble counters, upgraded appliances, crown molding throughout, tray ceilings in master bedroom and loft, upgraded ceiling fans and bathroom upgrades as well. 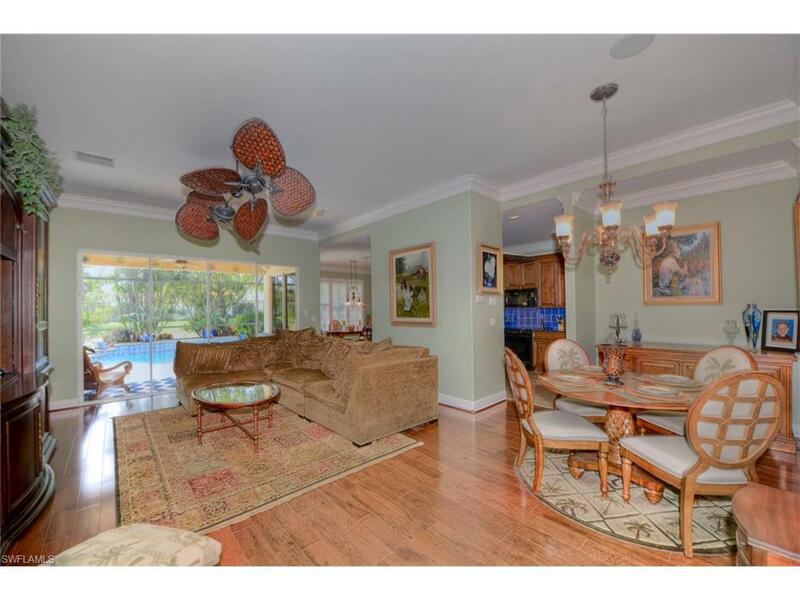 This is the perfect family home with an open floor plan, formal dinning room along with a breakfast room overlooking the serene lanai. Your family will spend hours enjoying the second floor loft space large enough for a TV viewing area and a pool table! The lanai and pool area is very private with beautiful landscaping and a wonderful view of the lake and features a saltwater system for the pool and space for outdoor dining. 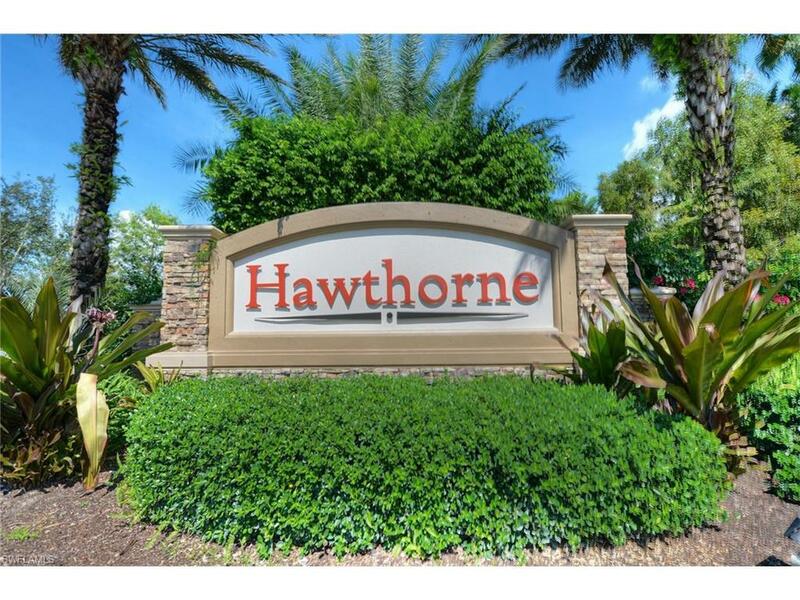 Hawthorne is ideally located between Imperial Parkway and Old 41 and includes 2 community pools and spas, 2 fitness rooms, community room, tennis and numerous community activities and clubs. From there, it's any easy drive to nearby beaches, Coconut Point Mall, Miromar Outlets and SW Florida International Airport. This is the perfect package, a magnificent home in a desirable community and outstanding location in SW Florida! Florida at it's best!